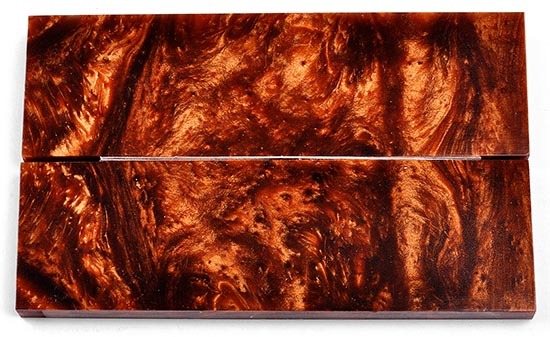 Acrylester is a new material that looks great and drills, sands and polishes extremely well. It works down at the same rate as horn, bone and wood. Each set?of?Bronze scales is cut from a single block producing perfect mirror image patterns. The size of each scale is 1-1/2" wide?x 5" long x 3/8" thick.? Barrel Pivot Pin - .187" x .499" x 6/32"